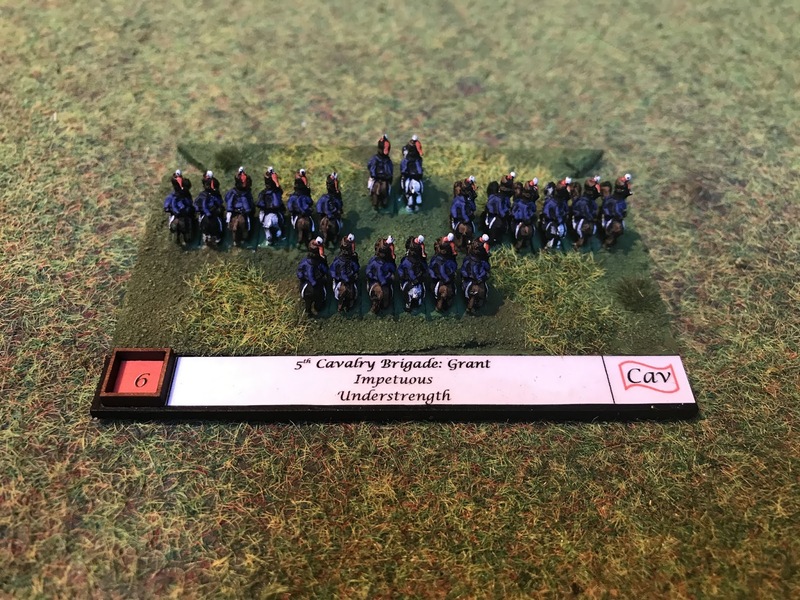 I have been working hard on completing the Anglo-Allied Calvary Corps for the 100 Days Campaign project in 6mm and the next unit I finished was the 5th Brigade (I'm aiming for completion before Christmas). 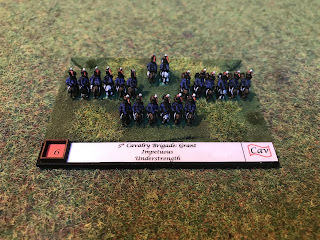 This brigade was commanded by Major-General Sir Colquhoun Grant who was wounded during the Battle of Waterloo and also had five horses shot under him! The brigade comprised of the 7th Hussars, 15th Hussars and 2nd King's German Legion Hussars. 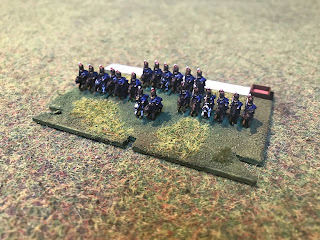 The latter were actually deployed on the frontier around Coutrai during the battle, but I have included them in this unit as I am including all units of the army. 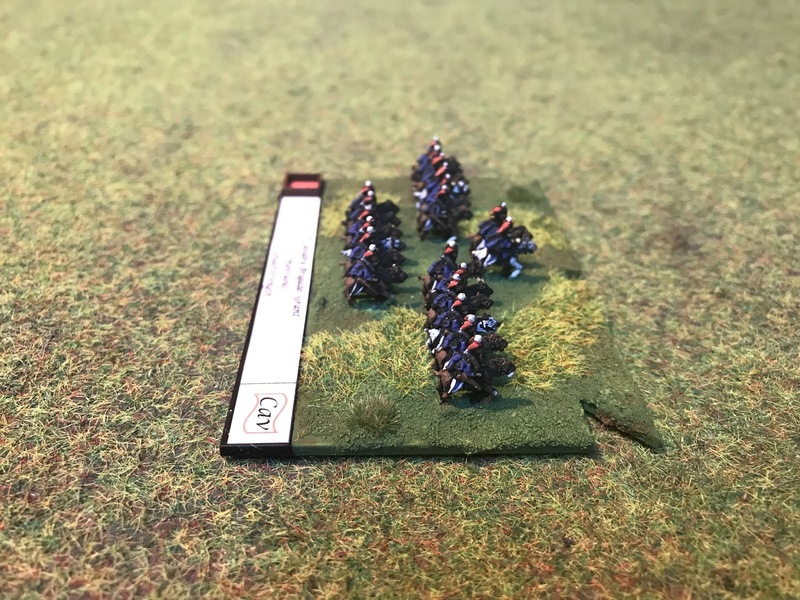 The 5th Cavalry brigade was deployed behind the Guards Division on the Allied right flank and took part in cavalry charges against the French cavalry attacks on the Allied squares in the afternoon of Waterloo. It sustained 31% losses, and as with other cavalry brigades, two of the three regimental commanders were wounded. The clock is slowly ticking down to completion now and there isn't much left to do for the Anglo-Allied army!